The Dexcom STS and the Paradigm RT continuous monitors are currently available in the U.S. with a prescription. In this study, they are compared head to head while being worn by one person with Type 1 diabetes. Over 33 days, 262 simultaneous readings were compared between a One Touch meter and the two continuous monitors. The meter was used to calibrate both monitors and as the standard against which their accuracy was evaluated. 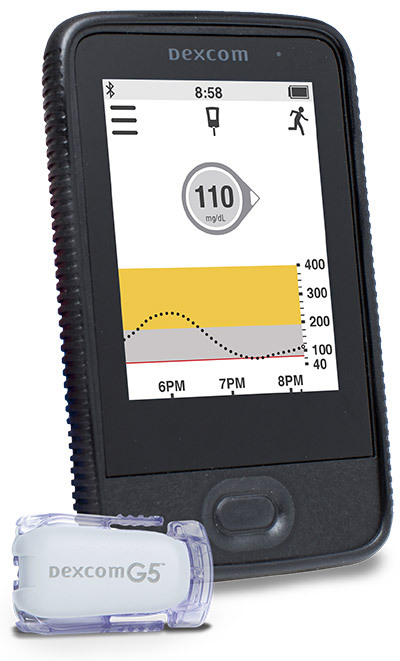 Updated for Dexcom Share FDA approval DexCom, headquartered in San Diego, California, is focused on developing technology for continuous glucose monitoring to improve the lives of people with diabetes. Their DexCom STS system was approved by the FDA on March 27, 2006. Since then, Dexcom has upgraded their system to the new Dexcom G4 Platinum. In February of 2014, the FDA approved a pediatric version of the G4 for children ages 2-17. The sensors may be placed in the upper buttocks or abdomen for children but parents are cautioned to not depend solely on the CGM for readings.